Sonnenschein dryfit Prevailer/Solar bloc for DIN metric case sizes. 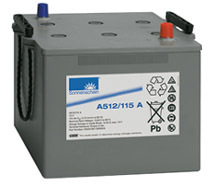 Marine and RV Batteries, both Starting and Deep Cycle. Charging. 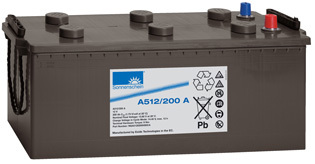 Sonnenschein /dryfit (German) A200/A500 product is correctly charged (@ 2.4v/cell)14.4v/(2.3v/cell)13.8v) @ 20°C to 30°C (float). For lower and higher temperatures, from (minus) -22ºF up to (plus) +120ºF, charge voltages should be adjusted according to Factory approved Data or use temperature compensated charging devices. NOTE; Continuous use at temperatures below 68°F will diminish the usable capacity approx; 4-5% for each 10°F and this should be taken into account when your system is being sized or designed or when advanced battery monitoring equipment is being programmed etc. Note; The above are DIN (Euro) metric case sizes and discharge data are based on 1.75v/cell cutoff. Standard BCI (USA) case equivalents are available in the Deka Gel-Tech label and listed in the Table below. Made in the USA (Deka Gel-tech) are correctly charged at (2.32v/cell)14.1v/(2.3v/cell) 13.8v float @ (68°F) 20°C. 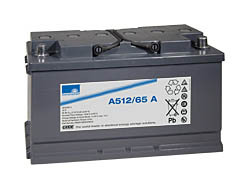 your system is being designed or advanced battery monitoring equipment is being programmed etc. 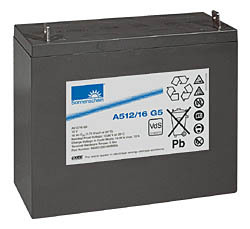 Sonnenschein dryfit & Gel-tech batteries are extremely efficient when recharging. Because of this high efficiency, it takes less time to recharge. By design - dryfit Gel technology is self limiting on current! Initial charge acceptance is very high ( Approx; 4xI20, or 320 Amps for an 80A dryfit) and then settles to the normal recharge rate of approx; ½ x I20 or 40A for an 80A dryfit. Note that constant voltage is the preferred recharge method! 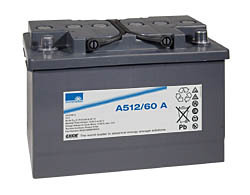 Three step-temperature compensated charging is now widespread and commonly available, and uses a combination of constant voltage and constant current to minimise recharge time.This method is superb IF the charger unit is set for dryfit and Gel-Tech batteries at the factory, or has the facility to be programmed by the careful user.Alternators,(rotary charging devices) benefit greatly from 3 step temperature compensated charging and has the added attraction of distancing the regulator from the intense heat and vibration of the alternator.We have been applauding and endorsing the use of these devices since 1988. On Cruising vessel's, with a rotary charger as the main charging device,3 step regulation will save a tremendous amount of fuel and engine wear and tear, while acheiving a fast full charge. We have a complete range of three step regulators and High return alternators. 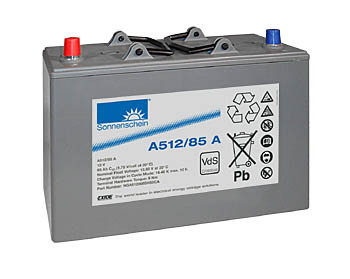 We only recommend that the Sonnenschein dryfit or Deka Gel-Tech Cells batteries not be charged in a sealed container or environment. 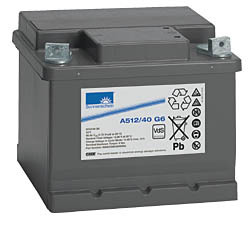 In normal usage these Manufacturers sealed, gelled Lead Acid batteries have no need to for special ventilation precautions. 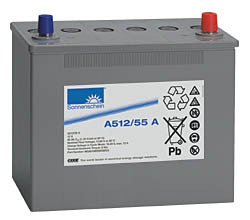 Ensuring that the air surrounding the battery bank e.g. via air slots (or Limber Holes) is in contact with the outside air, is sufficient. This opinion applies solely to Sonnenschein dryfit and Deka Gel-Tech. 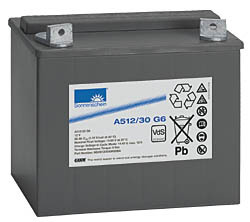 CAVEAT.Gassing data are NOT available for Keystone,Exide, Dynasty, Trojan or any other Gelled electrolyte brand and no opinion is offered.For the purpose of this ventilation discussion they are treated as wet or open vented batteries. .